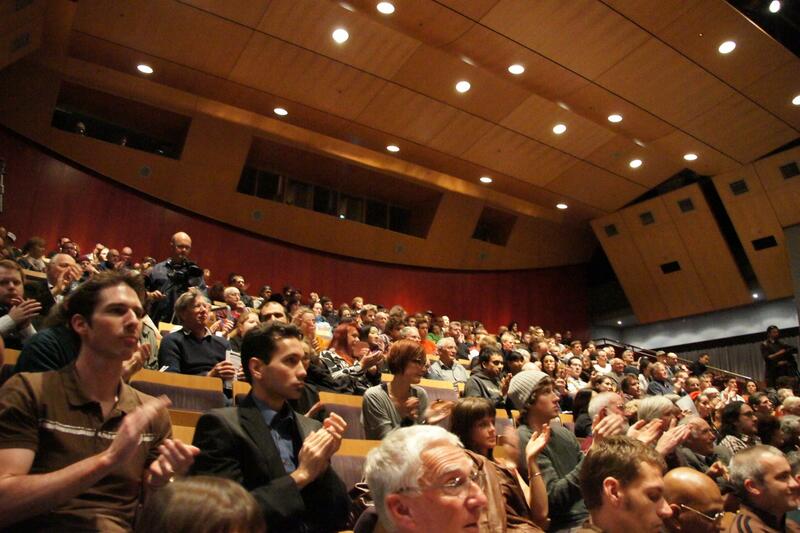 On the afternoon of Saturday the 21st in Wellington, American architect and internationally acclaimed speaker Richard Gage addressed a captivated audience of around 630 people at Te Papa’s Soundings Theatre. Gage presented evidence calling into question the official version of the events which led to the destruction of the World Trade Center buildings in New York on the 11th of September 2001. Scoop Audio (1 Hour 52 Minutes): 911 Architect for Truth Richard Gage’s address to an audience in Wellington at Te Papa – 21st November 2009. * *In a Radio New Zealand Interview with Kim Hill on the morning before the presentation Richard Gage, who was the founding member Architects and Engineers for 9/11 Truth, was dismissed as a ‘conspiracy theorist ‘. In the interview Gage spoke of the considerable similarity between the collapse of building seven of the world trade center and the demolition of similar buildings through controlled demolition – and he attempted to explain how and why this evidence calls for a better explanation. Gage also cited evidence supporting a claim that nano-thermite technology played a part in the collapse of the Twin Towers. The later presentation at Te Papa attracted an audience of around 630 people including dozens of architects and engineers. At the beginning a quick vote by raised hands revealed that the audience was made up of both dissenters to the official story, staunch believers of the ‘official story’, and many who were undecided. The majority of the evidence presented by Gage was based on scientific observation including a lot of analysis of physical factors which were accepted in the official report as not requiring further inquiry. At no point did Gage insist that his evidence was beyond challenge, and his central argument was to say that the volume of evidence uncovered clearly calls for an additional inquiry, and displays element of procedural impropriety in the official inquiry report of the 911 Commission. At the end of the presentation a second straw poll found that there were only half a dozen people not concerned by the accuracy of the National Institute of Standards and Technology (NIST) & 9/11 Commission’s version of events. 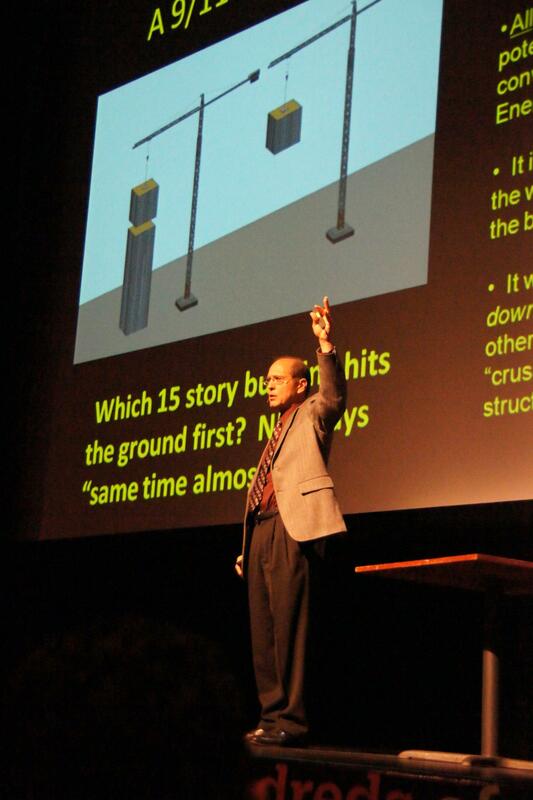 Richard Gage explaining principles of physics which contradict the findings of NIST (National Institute of Science and Technology) into the cause of the collapse of the twin towers of the World Trade Center in September 2001. Previous articleThe Hard Evidence Down Under Tour 2009 – An Amazing Success! !